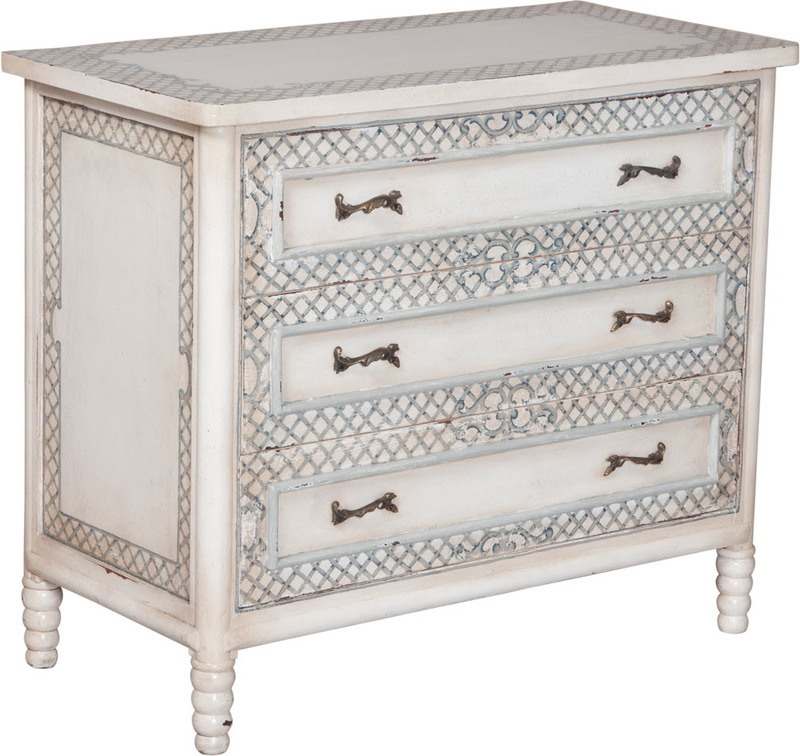 ISLAND COTTAGE BAMBOO CHEST - Signature White finish on hand carved mahogany three drawer chest. Hand painted decorative crosshatch pattern borders. Antiqued hardware. H 31" x W 36" x Depth 18"